1. Get DsFix if you somehow haven't already, or have forgotten to get dsfix. 2. Download the .zip to any folder you want, preferably a modding folder dedicated to dark souls 1 textures and mods. 5. That should be it! 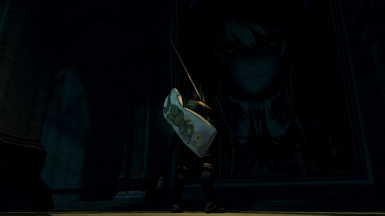 if all has gone well, you should now have monika as the painting. just monika. Psst... go kill gwynevere and then check back on the painting.